Artificial kaisei stone. The third stone of the groundwork used before Chu-nagura-do. By this stage the marks left by Binsui-do are removed and the surface of the sword will get smoother and finer. Kaisei-do Tokkyu-hin whets the sword very quickly and efficiently, and the particle is uniform, so that the blade is polished uniformly. 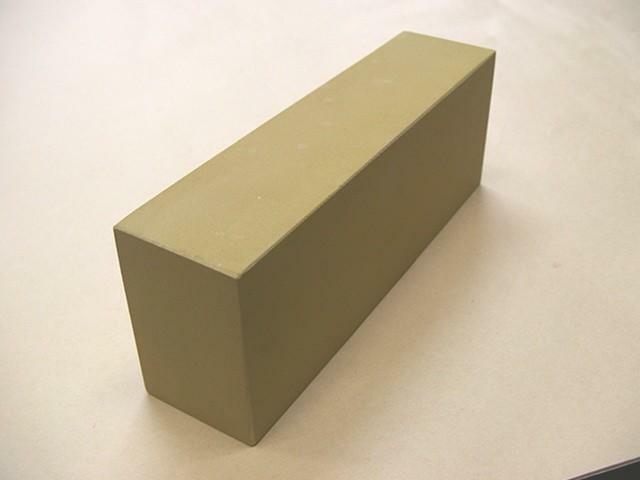 It is said that this stone makes Shinogi-suji appear sharp. Dimensions 20.5 x 5 x 7.5 cm, weight 1.4 kg.